The post-9/11 world has witnessed a rebirth of irregular and asymmetrical warfare, which, in turn, has led to an increase in conflicts between conventional armies and non-state armed groups. In their haste to respond to the threat from insurgencies, nations often fail to plan effectively not only for combat operations but also for withdrawal, which is inevitable, win or lose. In order to answer the question of how to withdraw from engagement with an insurgency, Gleis examines how insurgencies are conducted and what, if anything, is unique about an Islamist insurgency. He then proposes ways to combat these groups successfully and to disentangle one’s military forces from the war once strategic objectives have been met—or once it is clear that they cannot be. Because this type of warfare is dynamic and ever-changing, this book is not meant to suggest a set of cookie-cutter solutions for how to withdraw from insurgencies. 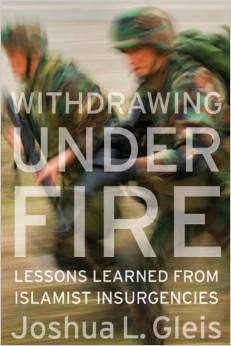 Rather, the author analyzes six counterinsurgency operations that have taken place in the past, with the intention of gleaning from them as many lessons as possible to better prepare for future withdrawals.The literature on how wars end has failed to explore irregular warfare.This much needed reexamination serves as an indispensable starting point. Hezbollah and Hamas are major players in Middle Eastern politics and have a growing involvement in global events. Despite their strikingly different beginnings, they share a common denominator—an adversary in Israel. 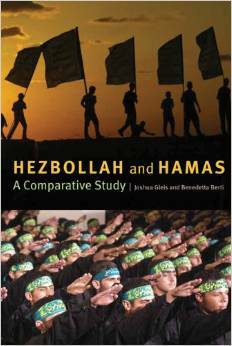 Hezbollah and Hamas draws from primary interviews and documents coupled with a thorough review of current scholarship. This is a portrait of the organizations’ roots, histories, ideologies, relationships, tactics, political outlooks, and futures. Joshua L. Gleis and Benedetta Berti present organization charts, maps, and a case study of the TriBorder Area in South America, which frequently serves as an operational center for terrorist groups. Recognizing that these two groups are increasingly relevant to U.S. national security, Gleis and Berti provide a comparative analysis of their histories and political missions that moves beyond reductionist portrayals of the organizations' military operations.